It makes sense if you need to save time and money to order your refills online. 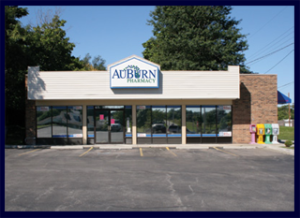 This concept at AuBurn Pharmacy in Louisburg Kansas is simple; we are staying true to our original focus of providing quality patient care at affordable prices with a community pharmacy atmosphere. "Louisburg is caring for the health of you and your community"
August 27 @ 4:00 pm – 5:00 pm, Louisburg Cemetery Items will be on display Sept 3rd (8-4) at Wildcat Activity Center.